Welcome to the Styleactions.com website. Following are the terms and conditions that govern your use of this website. By registering on the website styleactions.com or using the Service, the Client acknowledges that he/she/it has read, understood and agreed to the entirety of these Terms of Service. We strongly advises the Client to print and/or save a copy of the Terms of Service. “Client” means the individual or legal entity, professional only, with whom STYLEACTIONS TEAM entered this Agreement and whose name and address appear on the Account. The Client and STYLEACTIONS TEAM are hereinafter collectively referred to as the “Parties” or individually as a “Party”. “Styleactions products” means the Styleactions software, as well as any related applications, developed and published by STYLEACTIONS TEAM . “Content” means any data, whether personal or not, contained in the information processed through Styleactions by the User Processed Email sent by the Client to the Inbox(es) and processed through the Styleactions products. “Documentation” means all documents that may be viewed, printed, sent and/or downloaded in electronic form from the website styleactions.com and the blog Styleactions.com/blog, describing the functionalities of the Service and the Styleactions products. “Service” means the grant of access to the Styleactions products by STYLEACTIONS TEAM and the use of the Styleactions products in SaaS mode by the Client, whether through the website Styleactions.com, under the terms and conditions set out in the Agreement. “Membership Level” means the fee-­based plan subscribed by the Client for a fixed monthly or an annual period, which appears on the Account (and then possibly modified by the Client). The Service is provided through separate offers, which functionalities are described on the website Styleactions.com, or through specific tailored offer (s). The purpose of this Agreement is to set out the conditions under which STYLEACTIONS TEAM provides the Service to the Client, who accepts it, a non­exclusive and non­transferable right to use the Styleactions products. In exchange, the Client agrees to pay the contractual fee and to comply with all requirements set out in the Terms of Service. 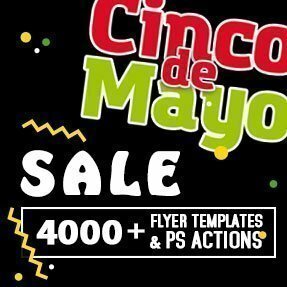 Styleactions Service is a world-class collection of pre-designed flyer templates that allows users to create high quality flyer designs. The Service does not include any storage service. The Client understands that he/she/it has the sole responsibility to ensure by all means available that all data contained in Product are saved and registered. STYLEACTIONS TEAM excludes any liability in the event of a loss of User Data. The Service is available to the Client 24 hours a day, 7 days a week during the term of the Agreement and within the limits set out in the Agreement. Support for the Services is only available in English, via email ([email protected]). Various questions and concerns of the Client may find a quick answer by visiting https://Styleactions.com/membership-levels. If someone originating from your account holder or someone contacted via Styleactions at the User’s discretion playing role of “Client” complains or contacts us, we might then contact that person. All Membership Level must be paid, through STYLEACTIONS TEAM payment service providers 2checout.com, for in full using a credit card, exclusively with one of the following credit cards: Visa, Mastercard, Discover, American Express or payment service PayPal. The Client must enter valid credit card information. The Service is billed in advance on a monthly or annual basis, irrespective of the use of the Service made by the Client. The amount already paid is neither fully or partially refundable. The lack of use or the temporary discontinuance of the Service during the duration of the Membership Level shall not have the effect of extending the duration of the Agreement or the Service, nor qualify for a refund or any compensation whatsoever. STYLEACTIONS TEAM will provide no refunds or credits for partial months of service, upgrade/downgrade refunds, or refunds for months unused with an open account. STYLEACTIONS TEAM shall automatically send the Client an email receipt for each payment. STYLEACTIONS TEAM reserves the right to modify or discontinue, temporarily or permanently, the Service (or any part thereof) with or without notice at any time. Prices of all Services, for the monthly or annual subscription plan to the Service, are subject to changes at any time. Such notice may be provided at any time by posting the changes on the website styleactions.com or the Service itself. Such changes shall not apply for the ongoing Membership Levels and shall only apply for the Membership Level entered after the modification of pricing. All Membership Levels will renew for successive periods of the same duration by tacit agreement, unless terminated by either Party by email (for the Client: to the Client’s email address provided in the Account; for STYLEACTIONS TEAM : [email protected] at least 7 (seven) working days before the end of the Membership level. It is the sole responsibility of the Client to anticipate the end of the Membership level, which consequences will be borne exclusively by the Client. No amount received in advance by STYLEACTIONS TEAM for the Membership Level will be refunded. All Content and Parsed Content will be automatically deleted from the Service at the termination date of the Agreement. The Client is aware that the Content and the Parsed Content cannot be recovered after the termination date of the Agreement. STYLEACTIONS TEAM undertakes to use all reasonable and human resources to provide the Service, subject to (i) the full payment by the Client of the contractual fees and (ii) interruptions, suspension or discontinuance of all or any portion of the Service due to maintenance, service disruption or failure external to STYLEACTIONS TEAM . For maintenance operations, STYLEACTIONS TEAM will endeavor to inform the Client in advance by email or via the website Styleactions.com. The temporary interruptions of the Service, of any kind, will under no circumstances give rise to indemnification of any kind to the Client’s benefit. Any service not expressly provided for in the Agreement, such as training, support, etc., shall be subject to a separate agreement, based on a quotation established according to STYLEACTIONS TEAM ’s applicable rates. Accordingly, the Client is responsible for any damages such data could cause to STYLEACTIONS TEAM , to a third party, to the Service and will hold STYLEACTIONS TEAM harmless against any claims that may be brought against STYLEACTIONS TEAM by a third party because of such data and, more generally, the Client’s use of the Service. While the Agreement prohibits such conduct and Content on the Service, the Client understands and agrees that STYLEACTIONS TEAM cannot be held responsible for the Processed Emails and Content submitted to the Service. The Client, therefore, agrees to use the Service at his/her/its own risk. STYLEACTIONS TEAM may remove any User Data information that STYLEACTIONS TEAM considers in its sole discretion as unlawful, offensive, threatening, libelous, defamatory, pornographic, obscene or otherwise objectionable or violates any Party’s intellectual property right(s) or the Agreement. The Service is provided on an “as is” basis and “as available” basis. The Service shall not substitute any other function in the Client’s organization. The information given by STYLEACTIONS TEAM is provided solely for the use of the Service but not for the Client’s organization. STYLEACTIONS TEAM has an obligation of means and does not provide any implicit or explicit warranty as to the use of the Service. STYLEACTIONS TEAM does not warrant that (i) the Service will meet the specific requirements of the Client, (ii) the Service will be uninterrupted, timely, secure, or error­free, (iii) the results that may be obtained from the use of the Service will be accurate or reliable, (iv) the quality of any information, or other material obtained by the Client through the Service will meet the Client’s expectations, and (v) any errors in the Service will be corrected. The Content is kept by STYLEACTIONS TEAM to the extent that it allows performance of the Service, which includes long-term data storage. It is additionally the Client’s responsibility to ensure the storage and registration of all of his/her/its data. STYLEACTIONS TEAM shall not be held responsible for any loss of User Data. STYLEACTIONS TEAM excludes any liability for the suspension of the Account. The Client understands that STYLEACTIONS TEAM uses third party vendors and hosting partners to provide the necessary hardware, software, networking, billing, storage, and related technology required to run the Service. The Clients also understands that, while the Styleactions products offers tools to easily set up a connection with such systems, External APIs are published and maintained by an independent provider external to STYLEACTIONS TEAM . The Client is therefore solely liable as to the transfer, the download or any use of User Data to or through an External API, excluding any liability of STYLEACTIONS TEAM . The Client is aware that he/she/it may have to enter into a specific and separate agreement as to the use of the External API. The Client expressly understands and agrees that STYLEACTIONS TEAM shall not be liable for any direct, indirect, incidental, special, consequential or exemplary damages, including but not limited to, damages for loss of profits, goodwill, use, data or other intangible losses (even if STYLEACTIONS TEAM has been advised of the possibility of such damages), resulting from: (i) the use or the inability to use the Service; (ii) the cost of procurement of substitute services resulting from any services purchased through or from the Service; (iii) unauthorized access to or alteration of the Processed Emails, Content or Parsed Content; (iv) statements or conduct of any third party on the Service; (v) or any other matter relating to the Service. In any case, the overall liability of STYLEACTIONS TEAM is strictly limited to the overall fees paid by the Client for the ongoing Subscribed Plan. Breach(es) of any of the terms and conditions of the Agreement by the Client may result in the termination of the Agreement and the closing of the Client’s Account. Should the Client fail to remedy the said breach within seven (7) days from the suspension of his/her/its access to the Service, STYLEACTIONS TEAM shall be fully entitled to terminate the Agreement with immediate effect and without prior notice. From the termination date, the Client will no longer be able to use the Service. The Client’s User Data relating to the Client’s Account will be deleted without the Client being entitled to any compensation. The Client shall be solely responsible for the consequences of the termination of the Agreement, in particular in terms of continuity of its internal management and commercial activities. No amount received in advance by STYLEACTIONS TEAM for the Membership Level will be refunded and the Client shall not be entitled to any compensation whatsoever. Suspension of the Service and/or termination of this Agreement shall not prevent or otherwise impede the claim(s) STYLEACTIONS TEAM may present as a result of the Client’s breach(es). All intellectual property rights on the Styleactions products and all content available on the website styleactions.com remain the sole property of STYLEACTIONS TEAM . STYLEACTIONS TEAM warrants that it has developed the Styleactions products and owns the intellectual property rights to the Styleactions products and all elements used to provide the Service. STYLEACTIONS TEAM undertakes not to claim any ownership on the User Data and Content processed through the Service, which remain the sole property of the Client. The Clients undertakes to refrain from any act or behavior that may directly or indirectly affect the intellectual property rights owned by STYLEACTIONS TEAM , such as but not limited to, the intellectual property rights owned on the Styleactions products, the related trademark and logo used by STYLEACTIONS TEAM . The Client grants STYLEACTIONS TEAM against any claim, demand, suit or proceedings made or brought against STYLEACTIONS TEAM by a third party alleging that the Content, the use of the Service in violation of the Agreement, infringes, misappropriates the intellectual property rights of a third party or violates applicable law and regulation. The Client undertakes to indemnify STYLEACTIONS TEAM for any damages awarded against, and for reasonable legal fees (including attorney’s fees) incurred by STYLEACTIONS TEAM in connection with any such claim, demand, suit or proceedings, provided that STYLEACTIONS TEAM (i) promptly informs the Client in writing of the claim, demand, suit or proceeding, (ii) gives the Client the sole control of the defense and settlement of the claim, demand, suit or proceedings (such settlement may be entered to the extend that said settlement releases unconditionally STYLEACTIONS TEAM of its liability) and (iii) provides the Client with all reasonable assistance. All fees incurred will be borne exclusively by the Client. STYLEACTIONS TEAM and the Client undertake to keep confidential all information and documents concerning each Party, of any nature whatsoever, to which the relevant Party may have referred to, or provided, during the performance of the Agreement. The above shall not prevent STYLEACTIONS TEAM to mention its commercial relationship with the Client, as provided below. STYLEACTIONS TEAM uses all technical means which may be reasonably used for the performance of the Service. STYLEACTIONS TEAM shall therefore not be held liable in the event that the Service is not available in the case of force majeure, including but not limited to, network failure, strike, natural disaster, earthquake, public telecommunication network failure, failure of Internet connection due to private or public agents to which STYLEACTIONS TEAM relies upon. The Client waives any right to indemnity of any nature whatsoever in the event of force majeure and STYLEACTIONS TEAM shall not be held liable for any cost incurred due to the impossibility to use the Service. At any time and at its own discretion, STYLEACTIONS TEAM reserves the right to assign, subcontract, transfer and / or provide all or part of the rights and obligations subject of the Agreement to a third party in any form whatsoever. The Client allows STYLEACTIONS TEAM to mention its company name or name and the Service provided for commercial purpose only.